It’s a pandemic, Bieber Fever is an unstoppable force and we’ve all got the bug here in the Wonderland office. 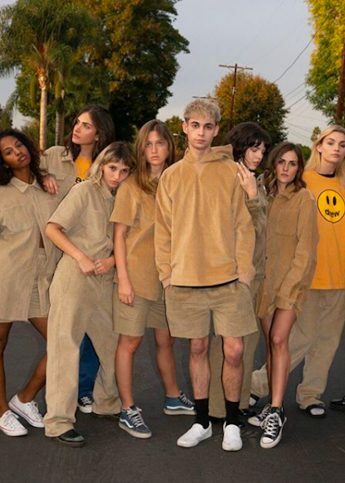 If, like us, you’ve been refreshing the web daily for any sign of tour merch on sale, you will have lost it earlier this week when Biebs himself revealed there would be a VFiles collaboration on sale for two days in New York. Here on the other side of the Atlantic, we haven’t had such luck. Word on the street is that the official tour merchandise (that’s totally dreamy long sleeve tees with Biebs’ own face and very Vetements-esque) won’t drop here in the UK until the singer lands here to play shows. The VFiles collab played on the existing theme to create some new limited pieces. Think tshirts branded with “My Mama don’t like you” and JB security hoodies. Justin even dropped in store to take a look around. We’re just going to have to sigh at the Insta pics and keep refreshing those web pages for any updates.